EBI Inc. specializes in a comprehensive employment background screening, drug testing and I-9 software for human resource professionals. With their all-in-one platform, clients can quickly access, run and analyze pre-employment for a variety of verticals from hospitality to education to government entities. 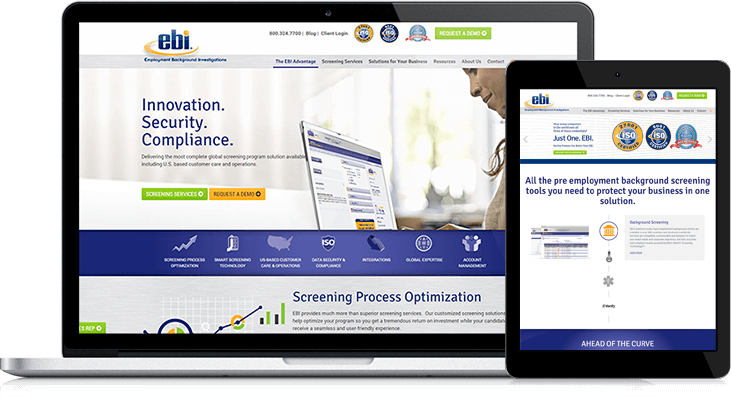 EBI took their brand presence out of the 1990’s into today with a brand new website, new content offers and a streamlined message. EBI is already seeing a drastic improvement in the quality of leads and are continuing to work with LyntonWeb to optimize the website for conversion rate improvements.